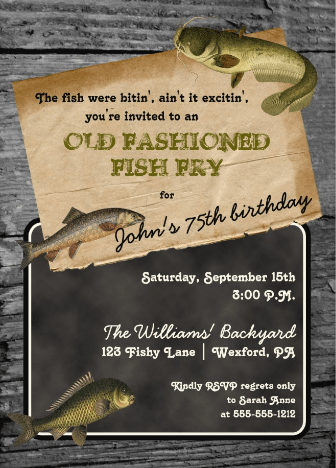 f you’re planning a birthday party during the spring or summer, or you live where you can have outdoor parties year-round, then you might want to plan an outdoor 75th birthday party. 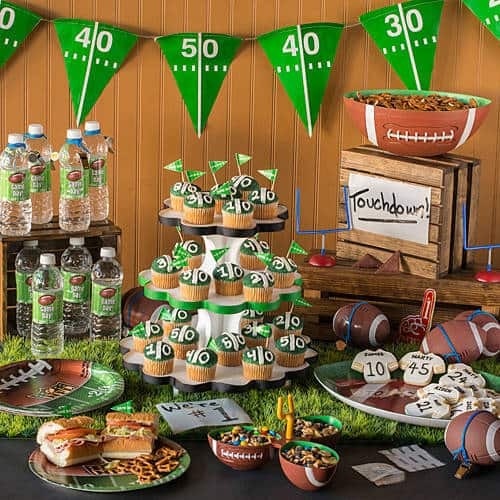 Here are some fun party themes that work perfectly in the great outdoors! 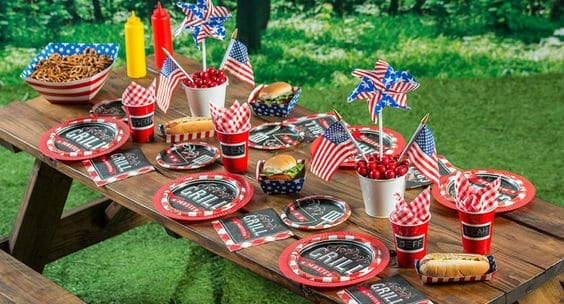 A cook-out is usually the first thing that comes to mind whenever you think of a summer party, and it’s one of my top picks for an outdoor seventy-fifth birthday celebration. It’s one of the most versatile themes – you can have the party catered if you’d prefer, or you can man the grills yourselves. 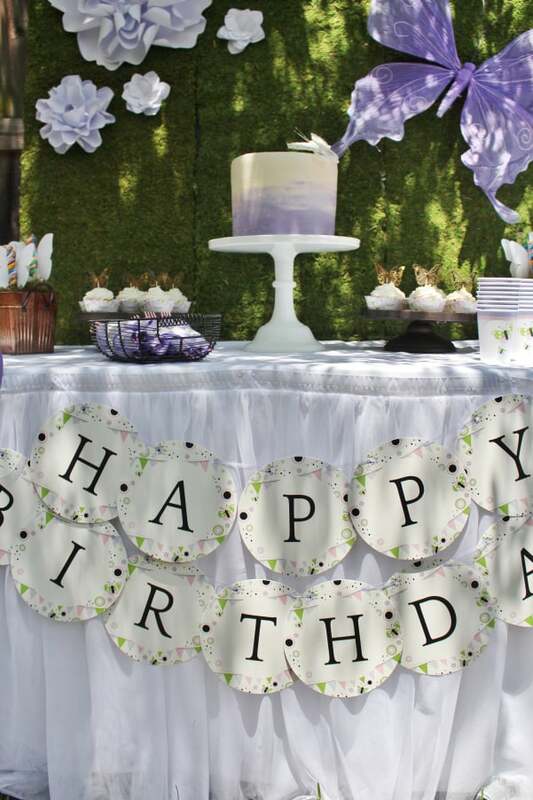 It’s the type of party that can be small or large (consider holding it in a favorite park if you have more guests that your backyard can hold), and is enjoyed by everyone from toddlers to seniors. Perfect for late spring or early summer, a garden party is best when your flowers are in full bloom. A garden party can be elegant, in which case don’t be afraid to break out the china. For a casual affair, use brightly colored plates and tableware. You can set the tone by the type of invitation you send. If you’re hosting an evening party, string simple white lights through out the trees and bushes for an elegant touch. A firepit makes for a fabulous gathering place (don’t forget the makings for s’mores). A garden party also works well for an afternoon event. You’ll probably want to serve finger foods. Consider setting up lawn games such as badminton or horseshoes if you have the space available. 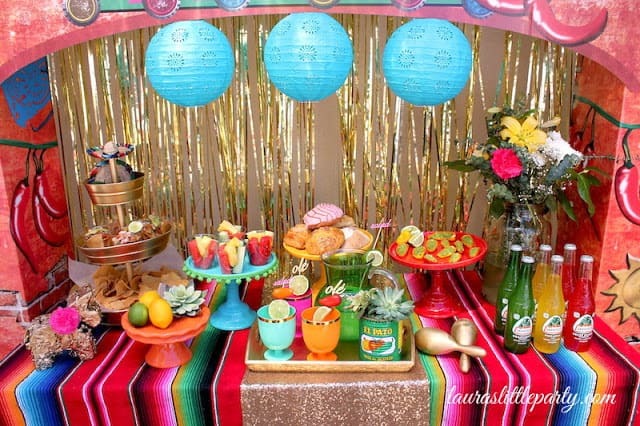 Add a little spice to your party by hosting a fiesta! A taco or nacho bar is an inexpensive yet fun idea. Consider holding a margarita tasting contest – there are so many creative margarita recipes around. This article features 12 recipes that would be a blast to try! Mojitos are another popular choice for a fiesta. Decorate with banners and flowers that incorporate the vibrant colors found in Mexico. If kids are invited, be sure to have a pinata (although adults might enjoy that also)! For more inspiration, check out the decorations and ideas here – I especially love candy-filled favor boxes! The ideal choice for any man or woman who loves to fish! Pair the fried fish with classic sides such as hushpuppies, cole slaw, corn on the cob and tartar sauce. Although the fish will need to be cooked at the party, you can make (or order) the rest of the dishes well ahead of time. Check out the fishing aisle of your local Wal-Mart or sporting goods shop for decorating ideas. 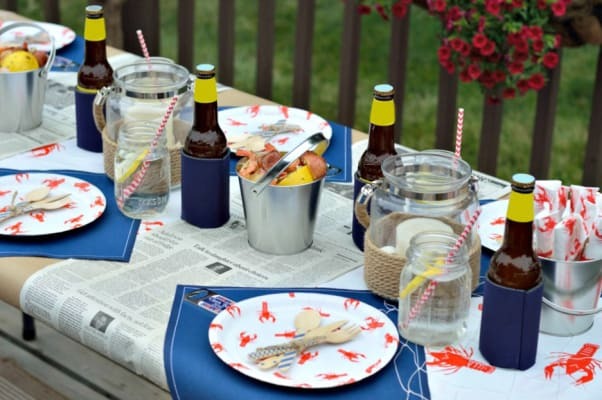 Bobber, lures and fishing nets are low-cost decorations that add a special touch to the celebration. I love a lot of the ideas on this Pinterest board, especially the bobber cake pops. Need even more inspiration? This board has some unique ideas…who would have thought to use a boat or canoe as an ice chest? The DIY bobber lanterns look like one of those adorable projects that can really make a party memorable – and they so easy (and inexpensive) to make! 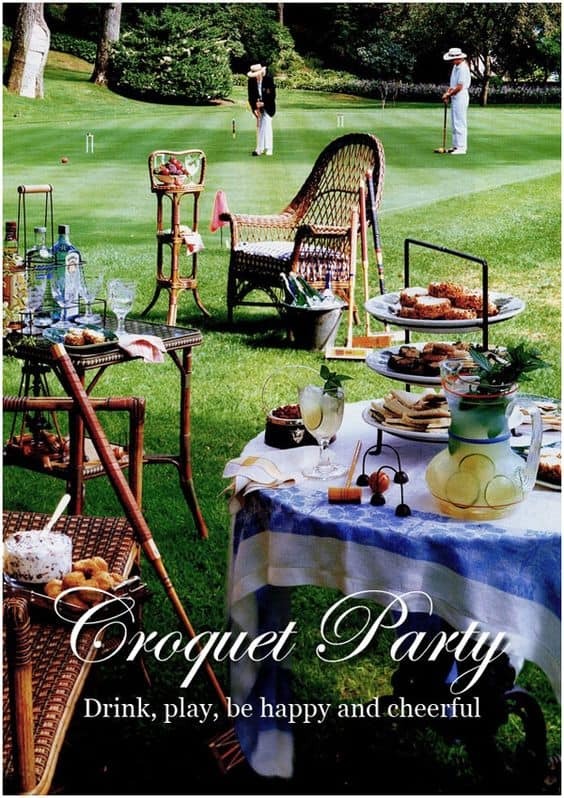 A throwback to more genteel times, a croquet party is an elegant way to celebrate this milestone event! This celebration is best as an afternoon event, with elegant finger foods being the menu of choice. Iced tea and lemonade are excellent drinks to start, although you may want to make it a Cocktails and Croquet party. If possible, have the guests dress up in all white or formal old-time attire (bow ties and caps for the men, perhaps)? Be prepared to explain the rules of the game (who’s really sure how to play croquet?). For a unique twist, play on a rooftop (use astro-turf as the grass), or on the big screen with Wii Croquet. Is the birthday man or woman a die-hard fan of a local sports team? Then order up some tickets and plan a tailgating bash to celebrate their special day! You can either choose to grill out at the game, or bring already prepared goodies to the site. If you’d like to serve alcohol, be sure to check that it’s allowed at the venue. Your best bet for decorations and tableware? Anything with the team colors or mascot! Just for fun, come up with trivia and interesting facts about the team’s history over the last 75 years. Who wouldn’t want to celebrate their birthday in a tropical paradise? 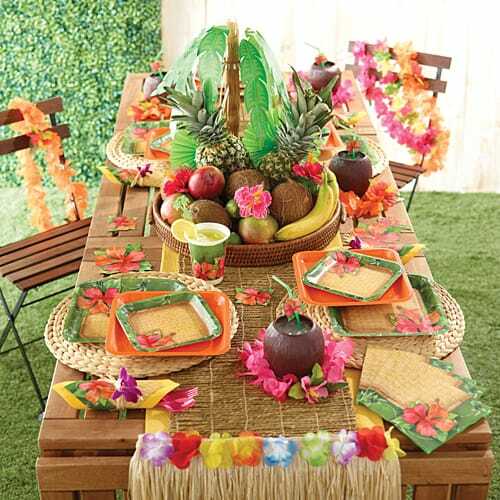 If a trip to Hawaii isn’t in your budget, bring a bit of the tropics to your backyard. Don’t forget the umbrella drinks! Check out the delightful recipes and decorating ideas here– White Sand Sangrias, anyone? Anyone who’s 75 has probably seen their share of movies at the drive-in. There aren’t that many drive-in theaters around anymore, but you can create the excitement of an outdoor movie at home. And you can choose a favorite movie, preferable one that’s a blast from the past. It’s easier and less expensive than you might think! 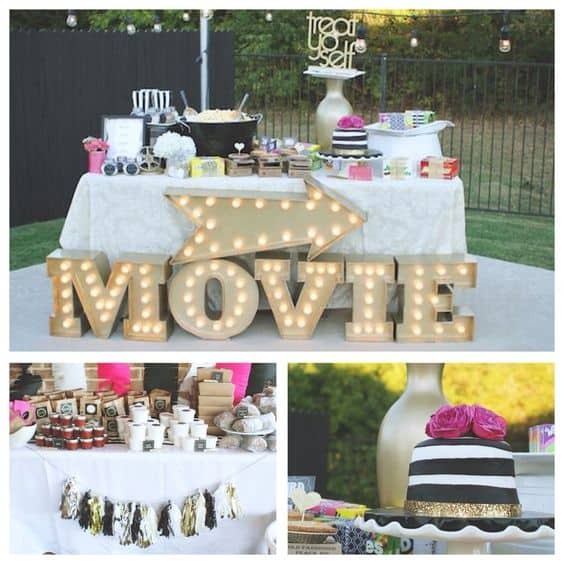 You can find some great ideas and instructions on how to decorate and plan an outdoor movie party here. Casual, messy and delicious – perfect for an outdoor festivity! With high-quality seafood available everywhere nowadays, it’s easy to have enjoy a seafood boil no matter how far you are from the ocean. Pick your favorite seafoods – shrimp, crab, lobster, mussels or clams are all popular. Don’t forget to add sausage for extra flavor. Be sure to have plenty of wet-wipes on hand (consider ordering fun plastic bibs to protect your guest’s clothing). Decorate with netting, seashells, and other nautical-inspired objects. I love the layout and decorations featured in this write-up. Has the birthday celebrant lived in the Orient, or enjoyed travelling there? Even if they’re just a huge fan of Asian food and decor, an Oriental theme is a unique and fun way to celebrate the 75th birthday! An Oriental themed party is best for a late evening/night time celebration. 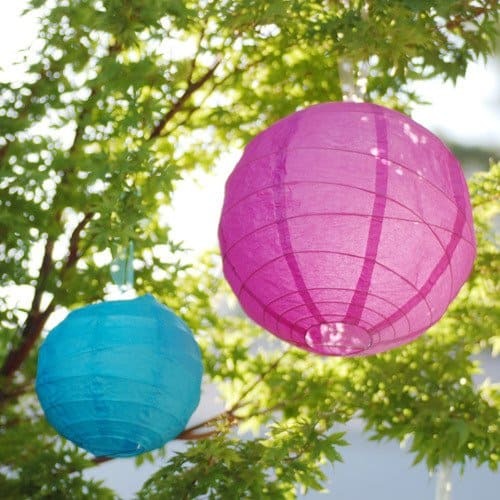 Light up your patio or deck with festive Chinese lanterns. Be sure to use plenty of red in your color scheme, as red is the color of luck in many far East cultures. Have the party catered by a favorite restaurant or sushi bar. You can order personalized fortune cookies for a fun dessert. If you want to give party favors, Chinese take-out boxes can be filled with candles, favorite candies, or other small trinkets. Think about ordering personalized boxes – they’re quite affordable.